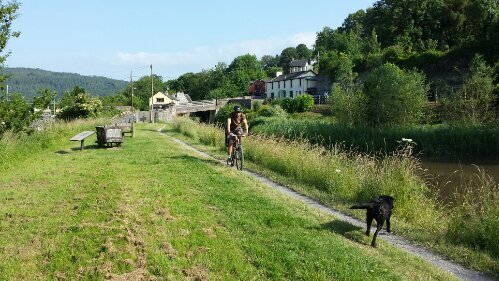 We went for an idyllic cycle along the canal yesterday, just from Talybont to Llangynidr. 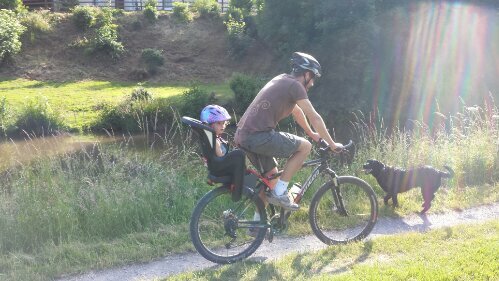 Rosie was on the back of stevie’s bike and judy the dog dipped in and out of the water to cool down. It felt like we were on holiday. I love this weather!